Let’s be real for a second, shall we? When we ask who has the better burger, we’re not asking for the name of the joint that was closest to your childhood home – the one you visited weekly and defer to every time you’re craving nostalgia and fast food. We’re uncovering the real deal, here – the burger joint with the best beef. 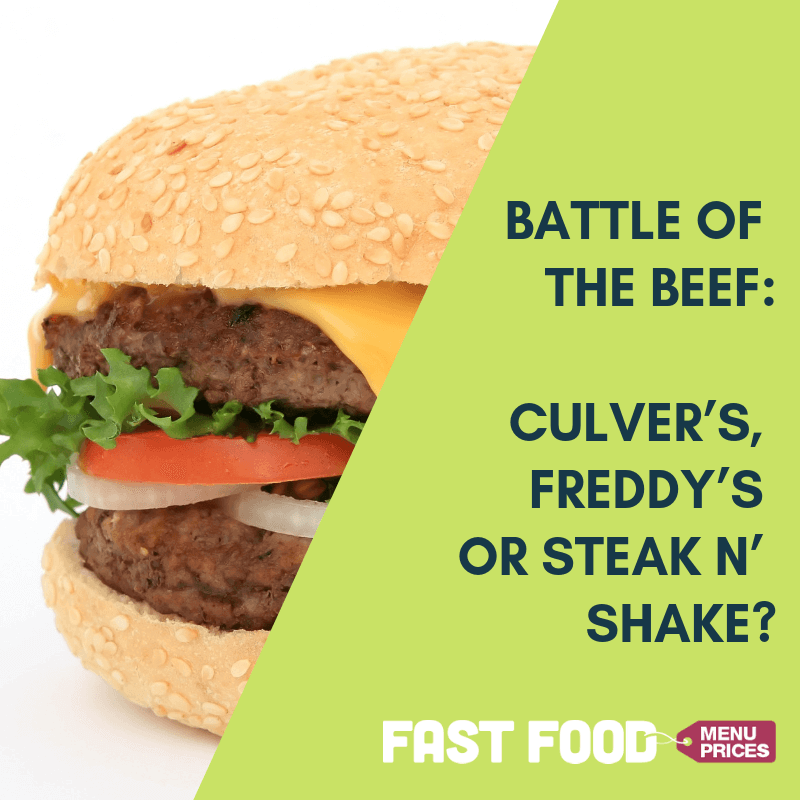 So, sit back, relax, and get ready for your stomach to gurgle – it’s time for the Battle of the Beef. 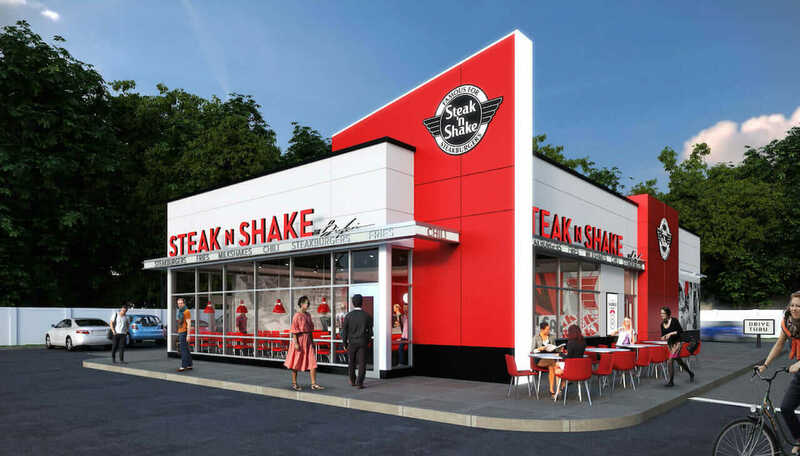 Steak ‘N Shake is another burger joint that started in the 30s. You guessed it – the classic burgers and shakes are the best sellers, but other popular items include the grilled cheese and signature drinks like the Mint Oreo Slush. However, compared to the raves that Culver’s and Freddy’s receive, Steak ‘N Shake seems to be lagging in the race. First of all, their burgers are greasy. And second – they’re about as flat as the soda they serve on the side. We’re not hating on the flavor of the burgers, we’re just calling them very…average. Some might go as far as to call Steak ‘N Shake a drunk food of choice, greasy enough to taste satisfying, but only truly scrumptious while intoxicated. Not to mention, it’s not ideal to have to order three of them to feel full. But something you don’t have to order three of? The Fresco Melt. All this knocking on Steak ‘N Shake made us forget about the truly legendary menu item: a beef patty covered with melted Swiss and American cheese, thousand island dressing, and an unidentifiable sauce, in between two toasted pieces of buttered-up sourdough bread. A mouth full to say, but when you get a mouth full, you won’t care. Culver’s is a steak burger restaurant that started in 1954. With no formal restaurant experience, the founders created a restaurant from their own home-grown recipes for butter burgers and frozen custard. Culver’s claims that they only use 100% fresh Midwest beef, with buns that are lightly toasted with butter. Culver’s was dubbed “The Mid-West Chain That’s Better Than In-N-Out,” by Business Insider, and while we love a good Double-Double, few things in life are as satisfying as a Cheddar Butter Burger and a Culver’s Root Beer. That’s right – Culver’s has its own root beer formula in its soda machines, which goes perfectly with some of their vanilla custard. So why is it so much better than Steak ‘N Shake? Our best guess: there’s time that goes into preparing the burgers. And while it may drive hungry customers crazy that you have to stand or sit around with a blue number card in your hands, it’s all worth it when a Culver’s worker approaches your car or table with that Midwest beef patty and Wisconsin cheese that so well outshines its west coast competitor. And as far as real, regional ingredients go in the fast food industry, we think Culver’s beef is about as good as it gets. 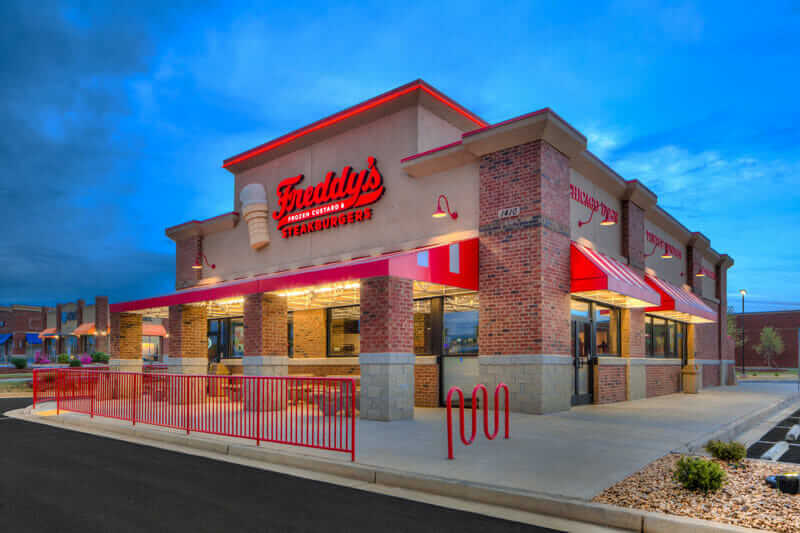 Freddy’s is another frozen custard and steak burger place that boasts of history and family values. They started in the 50s and quickly became one of the most prominent steak burger restaurants in the country. The combo meals are their famous money maker, but they also have an impressive veggie burger, a signature item at Freddy’s. 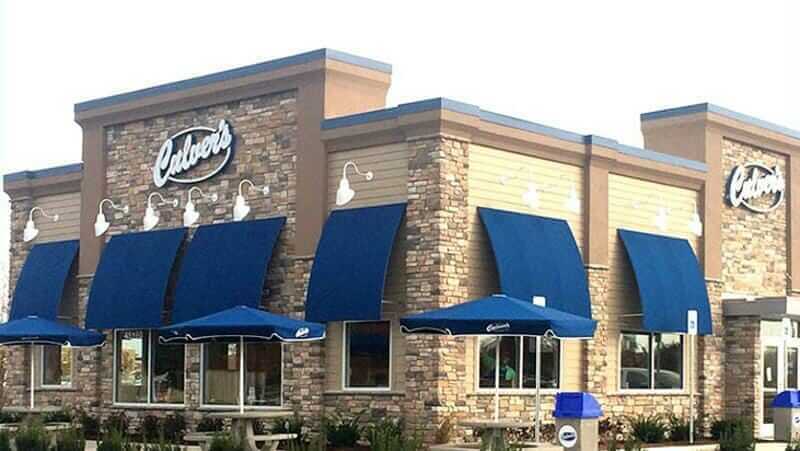 Unfortunately for Culver’s, many of their patrons converted to Freddy’s because of their items are more affordable and is tastier. Don’t you hate when you’re at a cookout and the grill-master asks you “Hamburger or hot dog?” As if you can actually decide between the two. Freddy’s Frozen Custard & Steak Burgers understands the struggle and offers an unbeatable combo. Each Freddy’s steak burger is cooked individually and made-to-order, so you’ll likely experience a bit of a long wait time like you would at any Culver’s. But the outcome is just as worth it – a hot and fresh patty served to you by one of the best teams in customer service. And while Freddy’s burgers are on the thinner side like Steak ‘N Shakes, they’re so full of flavor that you won’t even care (plus the toppings are properly portioned and don’t outdo the taste of the patty). And the fries? Thin and crisped to perfection, completing any burger or hot dog meal. The best part? After you scarf down a burger or two (we don’t judge), you can cleanse your palette with a cup of Freddy’s frozen custard. Nothing better. The fact of the matter is, you really can’t go wrong with a piping hot, greasy burger from any of these fast food joints. Now that you know where we stand with The Battle of the Beef, it’s your turn to share who gets the “W”: Steak ‘N Shake, Culver’s, or Freddy’s? While I have no experience with Freddy’s, Culver’s cannot even approach Steak and Shake in terms of burger taste.